Ambition is really important to the welfare of any company. It involves looking toward the future with hope and prosperity in mind, it involves a naturally occurring mentality of abundance and good lifestyle living, and it is essential for anyone who wishes to improve their job. Ambition is the grease which moves the wheels. It is the necessary factor in success. Without ambition, success comes and goes, like roulette or blackjack. Success is left up to chance, without ambition. 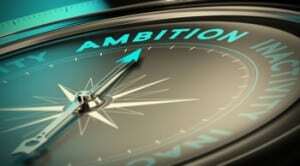 Ambition is incredibly fickle if it is left unchecked. It must be controlled, but that is not meant to imply that it should be thwarted or held back in any way. It merely refers to the fact that ambition needs an owner who is willing to examine it at every stage of the forward journey, and to make it will of the matter. Ambition does best when left in the hands of a person who knows these various pulls, pushes, and constraints upon ambition which bring about the best in that particular virtue or vice, whichever word one may put to it. Mediscreen is accredited to AS 4308. We make ambition look good. In the world of business, ambition is only checked by impossible odds being laid against money or by people who are untrustworthy entering into business with a creature such as yourself. You must know who it is with whom you work and you must know who intends to gain the most pay with the least amount of work being spent on the company. It means that you must be aware of these leeches, of lack of a better descriptor, so that you can take appropriate action. Drug and alcohol testing is one of the best ways in which to determine these truths. Mediscreen, a leader in onsite drug and alcohol testing, and being accredited by NATA for our drug screening, is ready to serve your business ambitions to the fullest extent that we are able to achieve: (+61) 1300 79 70 40. This entry was posted in Articles and tagged Alcohol testing, Bringing Out the Ambition, Drug Testing Australia, workplace drug testing. Bookmark the permalink.